Telopea Rubbish Removal & Disposal, Junk & Waste - Best Prices! Paul’s Rubbish Removal are the most effective rubbish removal company in Telopea, offering the cheapest rates in the region! 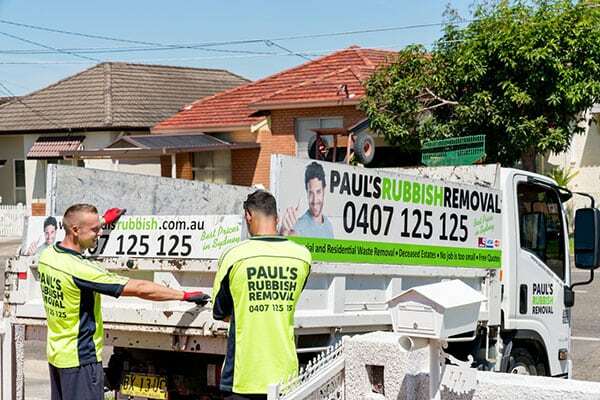 Paul’s Rubbish Removal offer the cheapest and most affordable rubbish removal services in Telopea. When you call us our team will arrive on-time, with a great attitude and ready to go! Don’t settle for second best, call Paul’s Rubbish for a fast and effective rubbish removal. Get a FREE QUOTE today when you call us! Best Price Rubbish Removal in Telopea – BOOK NOW! Call us today for an obligation-free quote on your next rubbish removal pick-up in Telopea. Our number is 0407 125 125!